Our neighborhood’s annual event at Heights Park. Fun for the entire family! Free hot dogs, snacks, drinks. 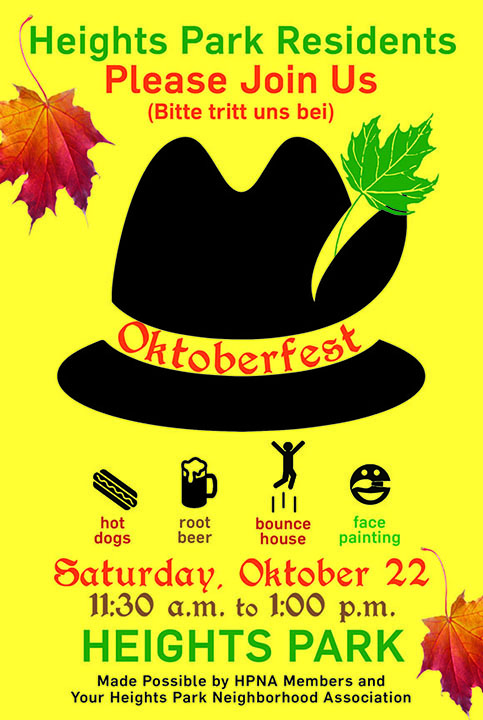 Crafts for the kiddos, bounce house, face painting, games. Come to the north end of Heights Park at the pavilion. We’ll be there from 11:30 – 1:00 on Saturday, Oct 22nd.